We've just had Labour weekend here in NZ, and although I had some work to do, it was mixed in with visits to the beach with the boys, a couple of runs, dinner out and catching up with friends. All in all, it was a lovely long weekend, with sunshine and some much needed rest and relaxation. 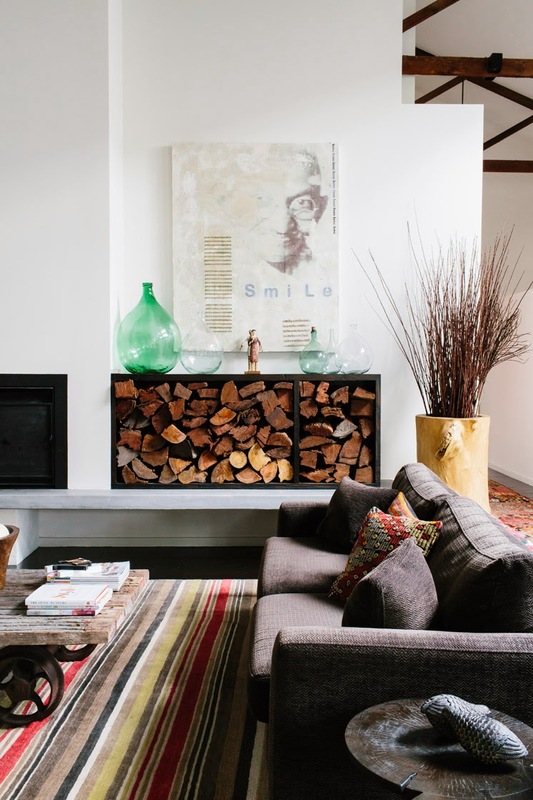 I also got in a good dose of Pinterest and discovered some amazing homes. Here are three that really stood out for me. 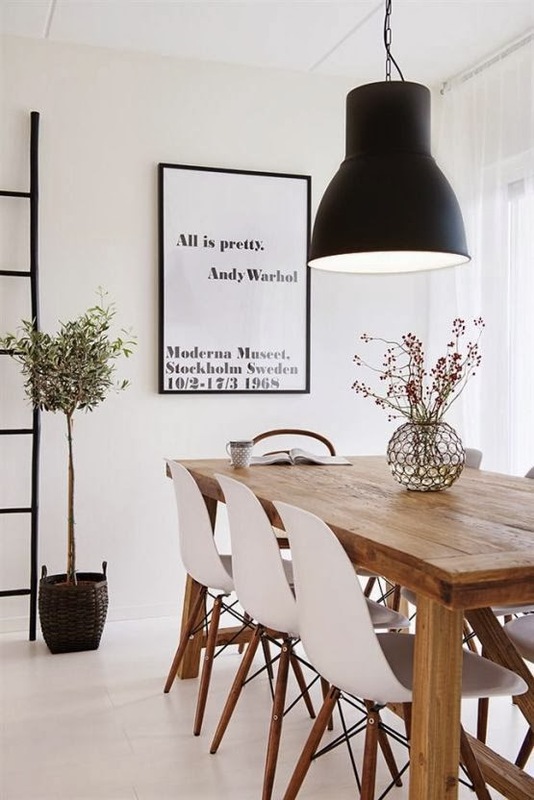 A repin from Deborah Gordon of the blog Ollie & Sebs Haus, the dining area above with its white painted floorboards and gorgeous mix of chairs had me clicking over to Deborah's post to find out more. 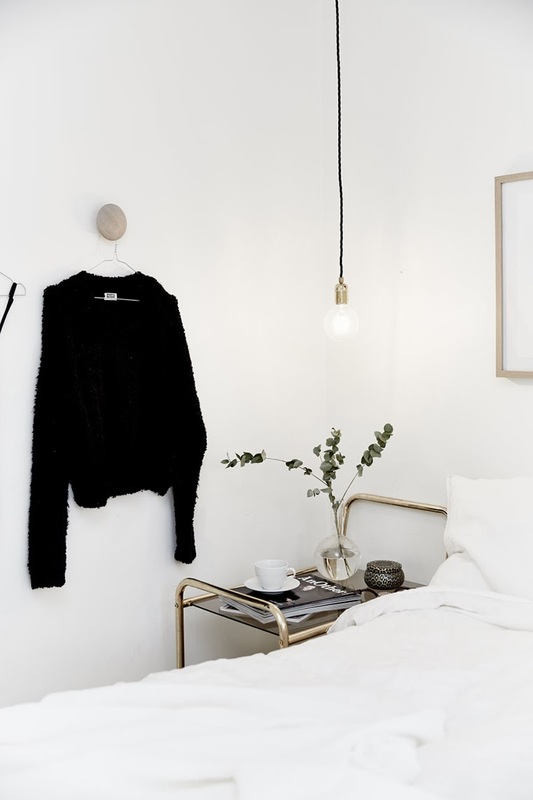 There I discovered that the home, currently on the market in Sweden, belongs to Elin Kickén, a freelance interior stylist, and assistant to Sarah Widman, whose work I also love. You can seen many more images over at Västanhem Mäkleri & Interiör where the home is listed, but these are some of my favourites. 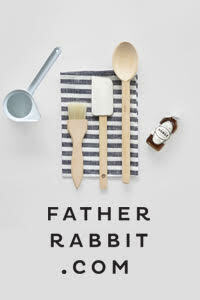 I love Elin's beautiful pared-back style. 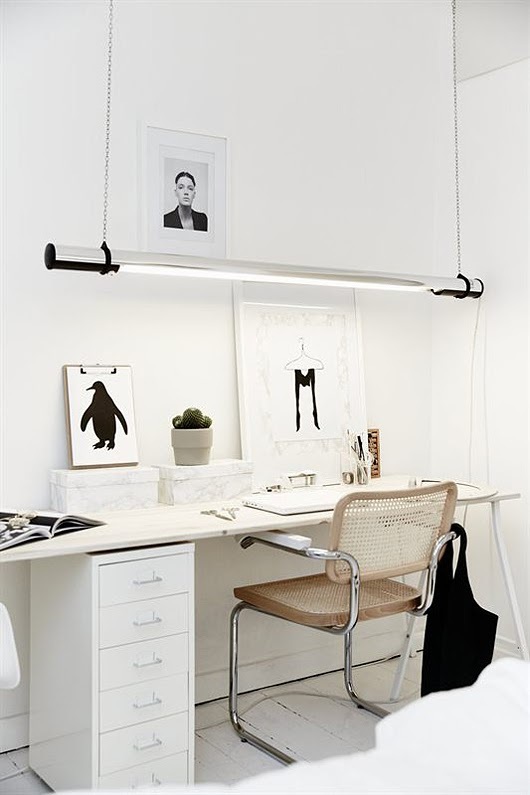 White and bright, the interior features cool framed prints, and simple hanging lights. 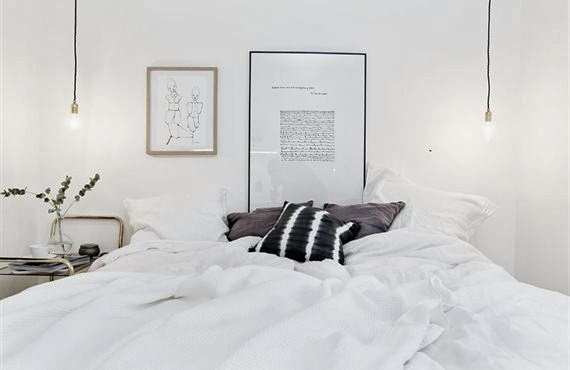 The bedroom has a relaxed vibe with Muuto dots, gold accents and a casually-styled side table. 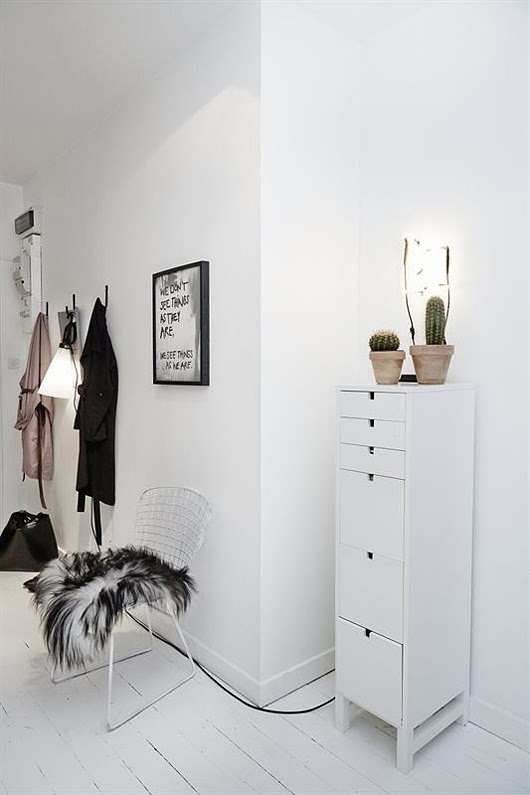 This next image was repinned from Catherine Lazure-Guinard, who featured this stunning home on her fabulous blog Nordic Design. 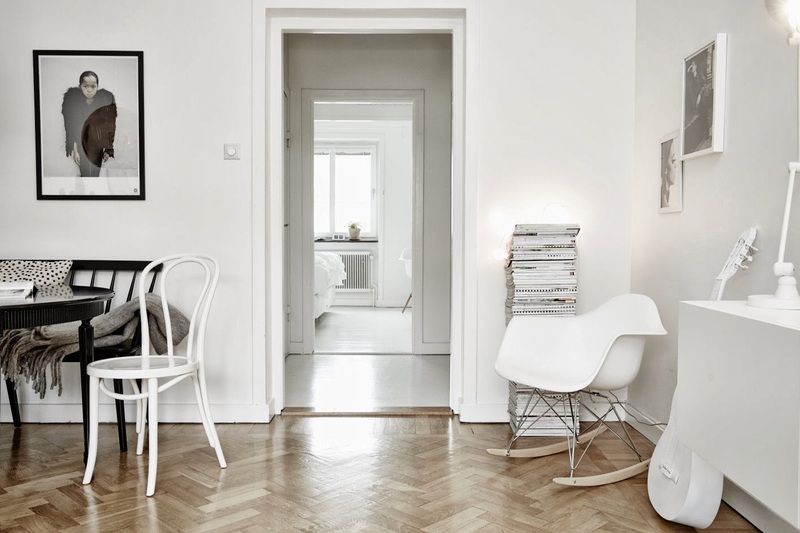 Catherine describes the the interior style of this Stockholm apartment as Nordic meets Ethnic. 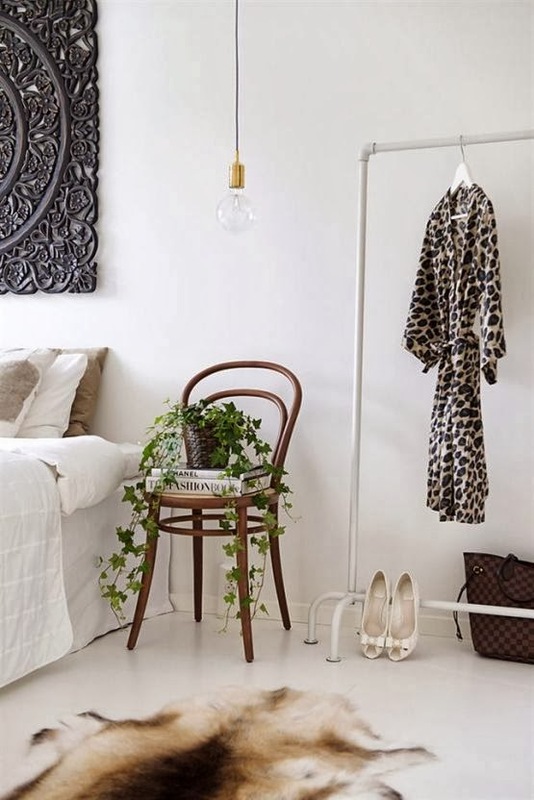 This can be seen in the bedroom, which has a gorgeous mix of pieces including a reindeer hide, Thonet chair, simple brass pendant and statement wall feature. 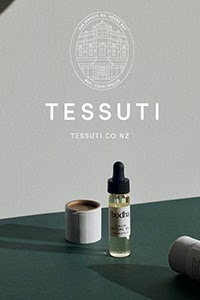 An incredible warehouse conversion in Melbourne, this next repin was thanks to Est Magazine, who featured the home here. 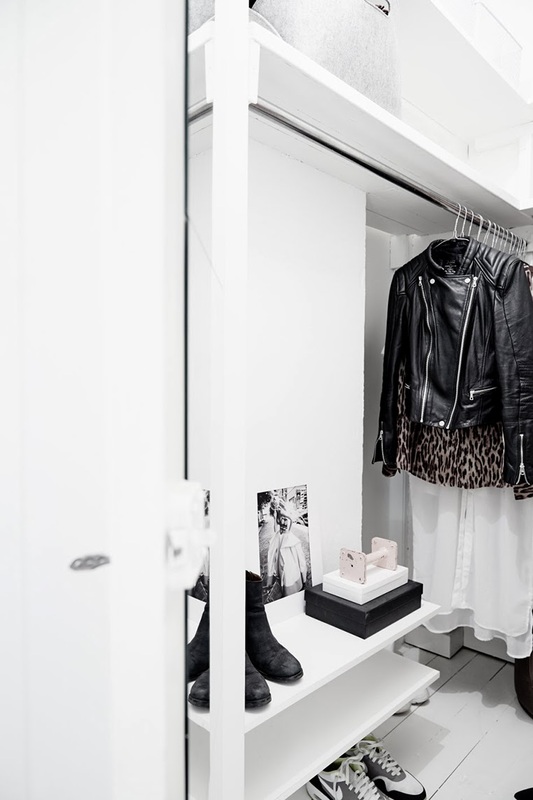 Owner Lynda Newton, a fashion designer, has used her eye for colour and texture to transform the factory. 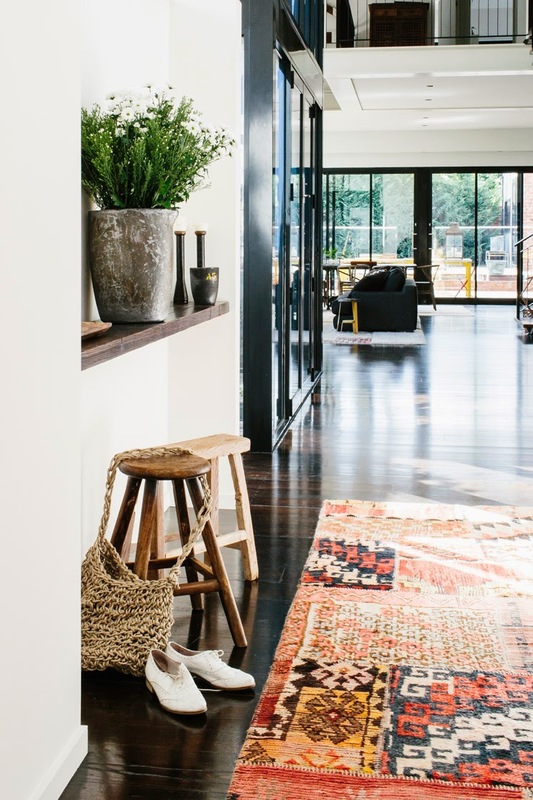 Dark floors, white walls and black joinery creates a striking monochrome palette, perfect for showcasing an amazing collection of vintage furniture, bold artworks, and vibrant rugs. 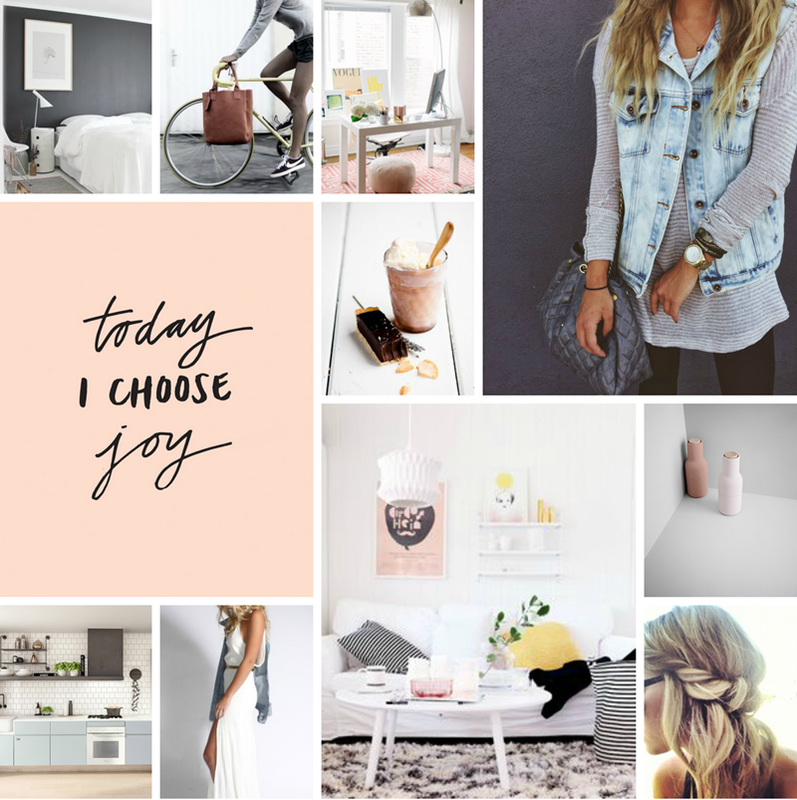 Finishing off with my latest Pinterest moodboard, I curated this for the long weekend, but also to provide inspiration for the week ahead. Before I go, I'm thrilled to announce the winner of the Lahood Giveaway. Congratulations to Jeanette Sweet!! Thanks to Lahood for their generosity and to everyone who entered.